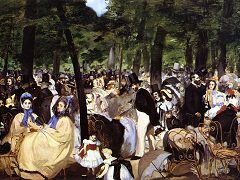 Although the art of Eduoard Manet was often rooted in references to the history of art, his subjects - parks, cafés, racetracks - were usually quite modern. 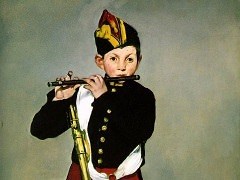 Jesus Mocked by the Soldiers represents a foray into religious imagery that was rare for Manet (and for his peers in the French avant-garde). 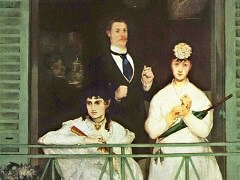 Its theme, heroic scale, and dark colors related it to Old Master paintings. 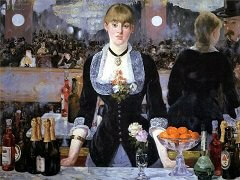 Its treatment, however, reflects Manet's usual daring, his flouting of convention. 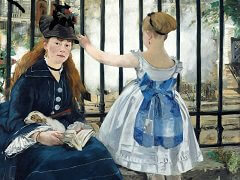 Here, the viewer is confronted with a very human, vulnerable Jesus whose fate is no longer his to determine. 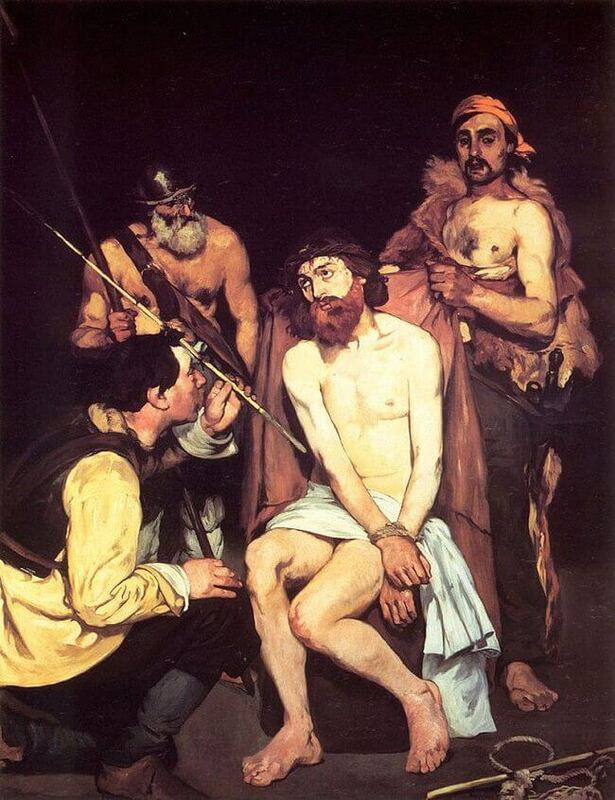 Manet depicted the moment when Jesus' captors have mocked the "king of the Jews" by crowning him with thorns and covering him with a purple robe. 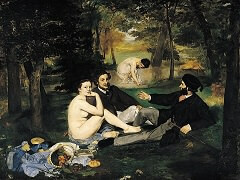 Although this taunting is followed by beatings, according to Gospel narrative, Manet's three earthy and contemporary-looking soldiers appear ambivalent as they surround the pale, stark figure of Jesus. One gazes at him, one kneels in apparent homage, and one holds the purple cloak in such a way as to suggest that he wishes to cover Christ's nakedness, rather than strip him. 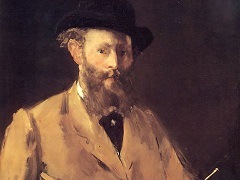 Manet's use of stark contrasts, flat forms, and a dark palette of t hickly applied pigment enhances this raw and powerful impression.